William is a worship leader at Bethel Church, a singer-songwriter, and recording artist. He is featured on the latest Bethel Live albums: For the Sake of the World, and Be Lifted High, and has released his first solo album entitled Hope’s Anthem in 2011. William born and raised in Detroit, Michigan, in an environment of rich gospel music. William spent several years as a lead prophetic singer and background vocalist for Misty Edwards, Julie Meyer, Cory Asbury and others at the International House of Prayer in Kansas City and has led teams for The Call. In 2009, William transitioned to Redding, California and joined the Bethel Music team. William currently travels and ministers in the US and internationally and is currently establishing The Worship Rooms, a 24/7 prayer and worship ministry of Bethel Church. His heart is to release joy through prophetic worship and he is passionate about raising up and equipping worship leaders to live a lifestyle of prayer and intercession. 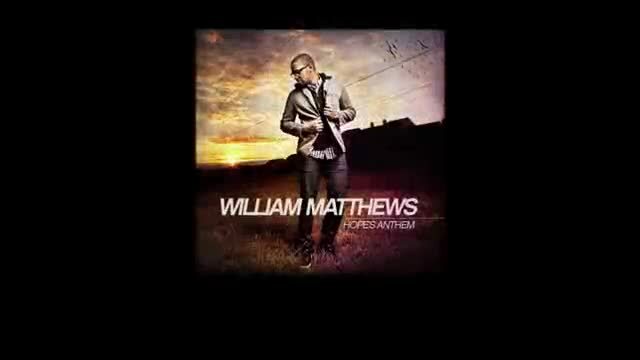 Watch william matthews music videos free online! Godtube.com also provides videos with william matthews lyrics, singles, album information and reviews. Whether you're looking for an inspirational and encouraging song for your quiet time with God or an upbeat song to praise Jesus, Godtube.com offers the largest online database of Christian music artists!